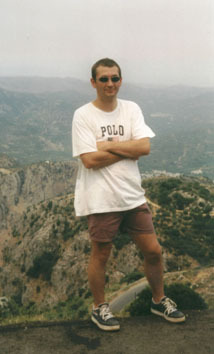 Me and Helen went to Crete in July 2000. 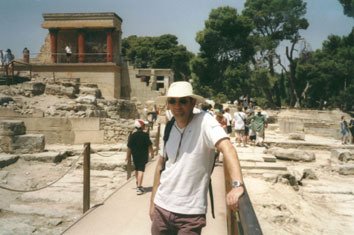 This is me at Knossos. 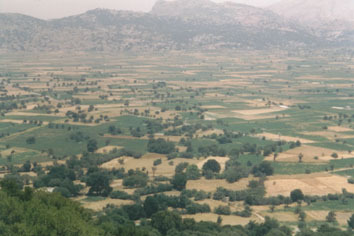 We drove up into the hills and found the fantastic 'Plateau of Lasithi'. 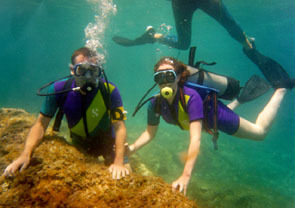 This is me and Helen Smith scuba diving near Ipsos, Corfu during the summer of 1998. This is Wyvern V.S.U. 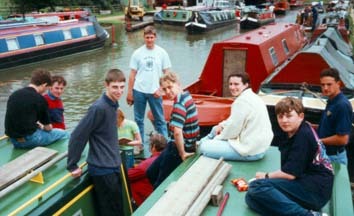 onboard Merlin and Megan hired from the London Narrowboat Project at Braunstone. We are just about to set off on the Warwickshire ring. This consists of 100 miles and 101 locks. Tim Yeomans, Joseph Newbold, Jonathan Parkin, Leanne, Adam Bennett, Peter Watts, Anna Whitehead, Stewart Towe & Steven Manning. July 1998.